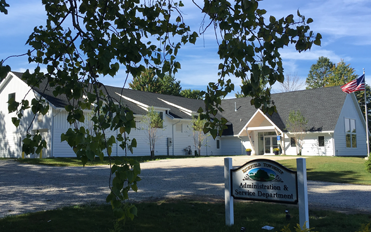 Richfield Township Administration Office and the Service Department is located at 3038 Boston Mills Road, Brecksville, Ohio 44141. The Administration Office is typically open between 8:00 a.m. and 4:00 p.m. and the Service Department is open from 7:00 a.m. to 3:30 p.m. Due to limited staff, there are rare times when the office is not open. Please call before stopping by to ensure someone is available at 330-659-4700. Residents may leave a voice mail and your message will be forwarded to the appropriate department. Appointment to a township board provides an opportunity for residents to serve in a leadership position while providing valued professional service to the community. The zoning boards are each composed of five full members and two alternate members who reside in the township. Members are appointed by the Board of Trustees and meet as applications require or at the call of the chairperson, generally one evening per month. Full members serve rotating five-year terms; alternate members serve one-year terms and there are no term limits. The Board of Zoning Appeals acts in a quasi-judicial capacity, rendering decisions on zoning variance and conditional use requests and appeals of the zoning inspector’s determinations. The Board holds regular meetings on the third Monday of each month at 6:30 p.m. Positions for one full member and one alternate member are open. The Zoning Commission acts in a review capacity, making recommendations for amendments to the text of the zoning regulations or the zoning map (rezoning). The Commission holds regular meetings on the second Thursday of each month at 6:30 p.m. Positions for one full member and two alternates are open. To pursue serving on one of the boards, submit a letter of interest and/or résumé to:Richfield Township Board of Trustees, 3038 Boston Mills Rd., Brecksville, OH 44141 or email m.remec@richfield-twp.org. The Service Department hours of operation are Monday through Friday from 7:00 a.m. to 3:30 p.m.
DID YOU KNOW? 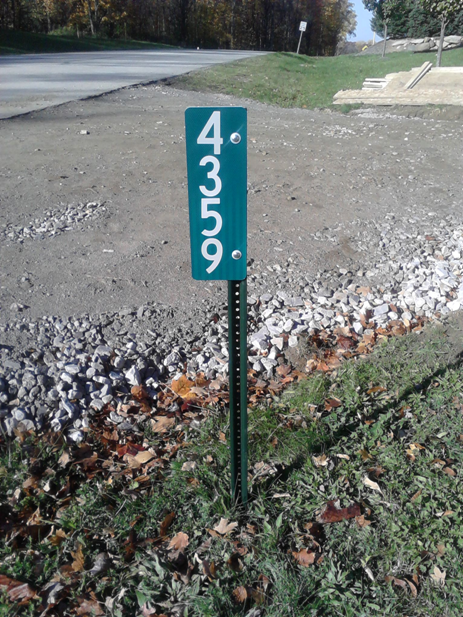 The township provides green, reflective address markers at no charge for safety and emergency situations. If you need a marker please click here for more information. The Richfield Joint Recreation District (RJRD) holds regular meetings on the 2nd and 4th Monday of the month at 6:30 p.m. Meetings are held at the Richfield Masonic Hall, 3750 Grant Street, Richfield, Ohio 44286. For information on the RJRD click here to be directed to the district's website. FOR INFORMATION REGARDING ACCEPTABLE ITEMS FOR RUMPKE CURBSIDE RECYCLING, CLICK HERE. FOR MORE INFORMATION CURBSIDE TRASH AND THE RECYCLING PROGRAM CLICK Waste and Recycle Removal OR under the Departments tab go to Waste and Recycle Removal. Extra Simple Recycling bags are available at the administration office. Hunting in the township is permitted with certain conditions. The Ohio Department of Natural Resources, Summit County Ordinances and the Ohio Administrative Code provide the rules and regulations. 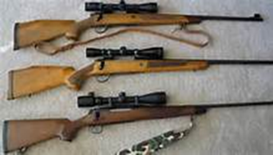 Click here to go to the Police Department section of the website for Firearm and Hunting information and applicable links to these agencies for the latest and up to date information. The Website is updated as frequently as possible with the latest information. But for those infrequent times when there is either technical issues or a delay, please call the Administration Office. Please note that the following meeting minutes are not the official minutes. Approved and signed minutes along with items entered into the record are retained in the RECORD OF PROCEEDINGS book. They are available for public viewing at the Administration Office. Trustee and BZA meetings may be recorded with the exception of Executive Sessions. Copies of audio recordings may be obtained by calling the Administration Office. The Board of Trustee will hold one Regular Meeting each month: the first Thursday at 6:30 p.m. Special Meetings will be held as needed and agendas will be posted in advance. Meetings are held at the Administration & Service Department Building located at 3038 Boston Mills Road, Brecksville, Ohio 44141. For more information regarding a meeting, please call the Administration Office at 330-659-4700. Learn More About the Board of Trustees. Jan. 24, 2019 Special Meeting Work Session: AGENDA. MINUTES. Feb. 7, 2019 Regular Meeting: AGENDA. MINUTES. April 4, 2019 Regular Meeting cancelled and rescheduled. April 11, 2019 Special Meeting (Rescheduled Regular): AGENDA. MINUTES. Zoning Commission meets the second Thursday of each month at 6:30 p.m. when there is new or continued business on the agenda. Linked below are the latest agendas and minutes. To Learn More About the ZC. August 30, 2018: AGENDA. MINUTES. December 13, 2018: AGENDA. MINUTES. January 24, 2019 work session: AGENDA. MINUTES. February 14, 2019: AGENDA. MINUTES. April 11, 2019: AGENDA. MINUTES. May 9, 2019: AGENDA. MINUTES. June 13, 2019: AGENDA. MINUTES. The Board of Zoning Appeals meets the third Monday of each month at 6:30 p.m. when there is new or continued business on the agenda. Linked below are the latest agendas and minutes. Learn More About the BZA. August 27, 2018: AGENDA. MINUTES. September 24, 2018: AGENDA. MINUTES. November 19, 2018: AGENDA. MINUTES. December 17, 2018: AGENDA. MINUTES. January 21, 2019: AGENDA. MINUTES. March 18, 2019: AGENDA. MINUTES. April 15, 2019: AGENDA. MINUTES. RESOLUTION 634. May 20, 2019: AGENDA. MINUTES. June 17, 2019: AGENDA. MINUTES. FOR ALL OTHER AGENDAS AND MINUTES, PLEASE GO TO "SEARCH" ON THE HOME PAGE. The SEARCH ENGINE found at the top right hand corner or the bottom left/center corner of the page may also be used to search all of the information listed above.